The NTW UTP CAT6 Shielded Connector (Pack of 50) is a high-performance Category 6 connector for stranded or solid wire, and features 50 µ gold-plated contacts for reliable contact and longevity. 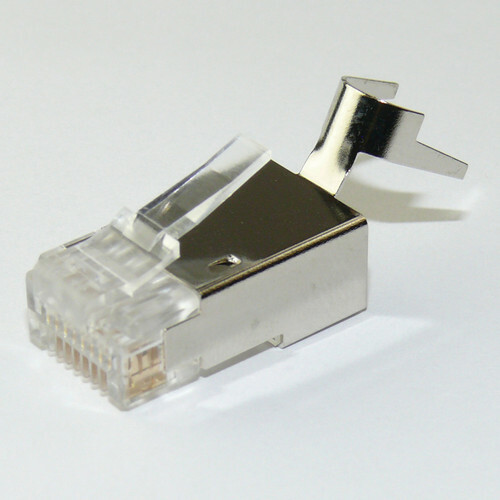 This connector is shielded to protect the signal and suitable for high-end networks. Box Dimensions (LxWxH) 5.0 x 3.2 x 1.4"